National Arts Council approached Clique Wise to support their events. We booked the entire show for Roof – a blend of reality and theatrical presentation. I chose this event as I am curious to find out how a blind man leads his life. It turned out to be a memorable, intimate and touching experience for all of us! One of the best arts event I've attended! Daniel reaching out to us with his friendly smile and hand shake. During the event, Daniel shared about how he lose his eyesight, the kampong he grew up in, how he was educated, what he does for a living, the places he has been, the mountains he has climbed and the sports medals he has received. During his free time, he composes songs with a guitar. We were utterly amazed by him! The more we get to know Daniel, the more impressed we are his achievement, talents and zeal for life! Despite his disability, it didn't stop him from leading an active, healthy and fulfilling life. Daniel embrace life as every opportunity to be happy. There is no trace of bitterness in him at all! He is filled with more warmth, contentment and peace than anyone of us! He inspires us to pursue our dreams! We are happy that Daniel faces life positively. Deep down, we feel sorry for him. He could have done more exciting sports, travelled further and enjoyed more of God's creation if he could see. 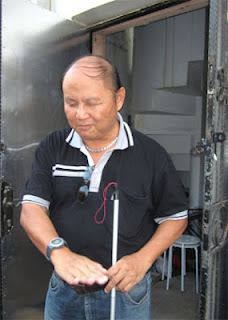 We felt for him when he told us that he lost his eye sight gradually since young. It must have been scary for a boy to lose it slowly. But he grew up to be such a positive, open-minded and diligent person, that, it is inappropriate and unneccessary for us to express our sympathy for him. We are embarrassed to compare his achievements with ours. As we listened to him, we could only reflect and appreciate what we have more dearly. Towards the end of the event, he brought us to a rooftop, strummed the guitar and sang us songs. The sunset, the colourful night scape, the rain, the buzz of Arab street and his voice soothed the mixed feelings. We bid him farewell, thanked him for an unforgettable evening and wish him well sincerely. Thank you Daniel, for being a beacon of light, shining brightly in joy, wisdom and hope. Are Singapore men shallow and arrogant? Recently, actress Felicia Chin remarked that Singapore men are shallow and arrogant. Not all the local men I've met are such. 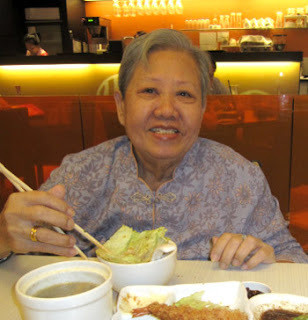 I have come across many fun, gentlemenly and wise Singaporean men. However, I can understand why she said so. Limited conversation topics. They hardly read, unaware of current affairs. Thus they are short of content to keep the conversation alive. Low confidence and unable to express themselves well. When others try to get the conversation rolling, they are not keen to take part or do not know how to response. They are only interested to talk about subjects that they are keen in or talk to pretty girls. But without good conversational social skills, pretty girls will not go on date with them. Upbringing and environment. No good role model to learn social skills from. 2. I've heard local men who claimed that their ex-girlfriends dumped them as their earning power is lower than her expectations. But some of these ex-girlfriends explained that the break up was due to other reasons like clashing character, lack of understanding and communication, his passiveness, his bad temper and his unwilling to compromise. Instead of enquiring, reflecting and learning from the break-up, these shallow and arrogant men push the blame to their ex-girlfriends for being materialistic. 3. When shallow, low self-esteem men meet women are more outspoken, qualified, confident, outstanding and successful than them, they feel intimidated. Before getting to know these ladies, they labelled these ladies as high maintenance, demanding or unapproachable. They will not consider dating these women, and would prefer to date women who need them more, ie: women who are financially or politically dependent on them to stay in the country. It made me wonder why these men go into relationship? Is it to have someone whom he can relate to and support each other emotionally? Is it for love? Or is it fill their void of self-worth? What kind of women will go for him? How is he going to manage if she becomes more successful than him eventually? Singapore men are kind, down-to-earth and honest, I value these qualities in them. I’m writing this not to put local men down; but to give them hope and encourage them to better themselves. When there's a will, there's a way. My main concern here: Are local men willing to learn? Are they willing to be a better man? There are many simple ways our local men could improve, eg: keeping updates on current affairs, reading up, getting a personal life coach and attending courses on communication with opposite gender and social skills. These will empower Singapore men to be more attractive, confident and connect with ladies well! I hope local men will become popular for desirable reasons. Besides supper after parties/work, this place which serves traditional comfort food is ideal for breakfast, brunch and afternoon tea too! 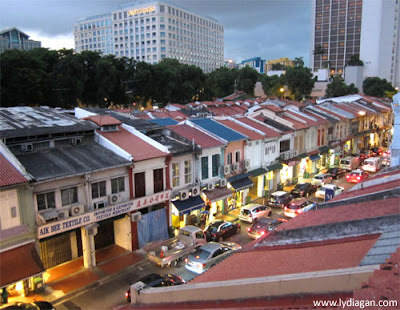 They will be moving to Lorong 24A in December 2012. 1. Taiwan Mee Sua - fragrant, flavourful (without the pungent smell of pig intestines) and smooth... Ah Ma and Ah Gong swears by it! 2. Soy bean curd, salty (Dao Huay)- rare gem! 3. Soy bean milk, warm (Dao Huay Jui)- comforts tummy! 4. Onion pancake - well fried and light, kids love it! 5. 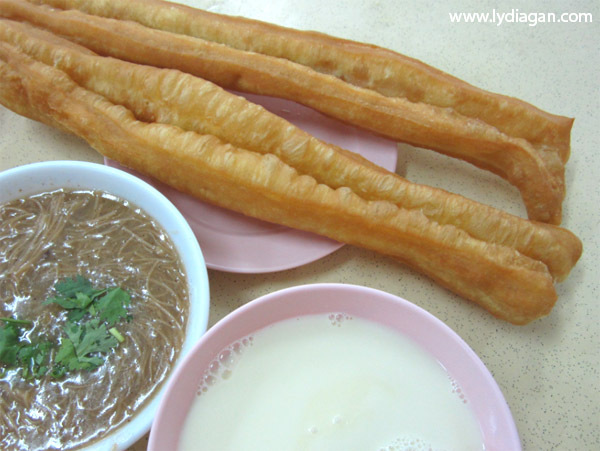 Fried dough stick (Youtiao) - less oily and crispy fresh! Located at the peaceful side of Geylang, with less than 2 hookers around. Suitable for big groups, family gatherings as they have huge round tables and is very spacious. Besides the usual feast, I have been wondering how to celebrate Mothers Day creatively till I saw this video. My mum looks like the lady in this video. I showed it to her and she roared in laughter. Mum has a good sense of humor, her joyful laughter meant more than anything! To all the mummies out there, Happy Mothers Day! May joy be with you always!